Long time Yakuza super fan Chelsea contacted me earlier this week with a full translation of Nagoshi-sans interview in the latest Famitsu (July 28 2016). It’s full of some great insight into the mind of Sega CCO and his reasoning behind having this latest entry be PS4 exclusive, and why this latest entry will be the final part of Kiryu’s legend. Read the rest of one of the most heartwarming interviews below. Don’t even pretend you aren’t getting teary eyed near the end. ―I would like to begin with asking what kind of challenges you are taking on with this game. Nagoshi: In order to convince the fans that narrowing down the platform to the PlayStation 4 was a good decision, there must be some significance to it. The very first challenge of all, then, is to show off a level of quality that displays this. Frankly speaking, when you consider the number of players, making it multi-platform (including the PlayStation 3 version) would be safer in business terms, too; however, in terms of increasing the appeal of the game itself, then of course I wanted to make it exclusive to the PlayStation 4. The advancement in hardware capabilities is an incredibly appealing thing to game developers. Though I think it’s a game that is easily comparable to past entries in the Ryu ga Gotoku series, making the game specially for the PlayStation 4 makes everyone on the team feel like we can come through with the kind of quality that will make this a good representative for Japanese games. ―I get the feeling that it would have been difficult to make the call on when to go PlayStation 4 exclusive, though. Nagoshi: Though this was a little bit before we began development on Ryu ga Gotoku 6: The Song of Life. (below, “RGG6”), we had received information on the PlayStation 4’s specs and for a period embarked on the creation of a new engine. Although this felt similar to the period when we made the switch from the PlayStation 2 to the PlayStation 3, there are naturally things you have to concede on in terms of quality when you develop for new and old platforms at the same time. Not only can you aim for a higher quality on the new hardware, but there comes a time when you have to stop multi-platform development. ―So you were developing an engine for when you made the switch to PlayStation 4 exclusive before you began working on RGG6? Nagoshi: Yes. While the on-site team were hard at work on Ryu ga Gotoku: Kiwami, several members of the programmers’ team were creating an engine that would utilise the PlayStation 4 to the maximum when we narrowed it down to that. They had time to polish it, which means that it’s of a really high quality. I actually had trouble even afterwards, right up until the last minute, deciding whether we really should stop multi-platform development, but when I saw the graphical quality afforded to us by the new engine I decided that we would go with the PlayStation 4 alone. ―I thought it looked amazing even from the demo, but you’ve said that you were still in the testing stages, and that the quality would rise even higher. Do you believe that this is the case? Nagoshi: Yes; the image quality is much higher than it is in the demo version. We have a playable demonstration scheduled to appear at the Tokyo Game Show in September, so I hope you get to experience the town full of people and the fun of seamless play for yourselves. ―As you just mentioned, it seems like RGG6’s fully seamless progression will be a major aspect of the game. Nagoshi: Ever since we began making Ryu ga Gotoku for the PlayStation 2, I’ve always thought that the length of time it takes to load is a hindrance. While up until now we have had loading screens, we’ve done all we can to make them shorter or look as if no loading is taking place. We’re finally as close as possible to being able to say that there are no waiting times for loading anymore. Of course, this is the result of an exhaustive effort behind the scenes to manage memory efficiently (laughs). In that sense, I guess we’ve finally managed to deliver a stress-free gameplay experience whilst maintaining the quality in its eleventh year. It may have taken eleven years to make my initial wishes a reality, but I am glad that we could (laughs). ―What…? [speechless] …As a fan of the Ryu ga Gotoku series, that comes as a shock. I see… Finally. I expect this to receive quite a reaction. Nagoshi: “The final chapter in the legend of Kazuma Kiryu” is a huge theme within RGG6. This was another big influence on my decision to make this game a PlayStation 4 exclusive. 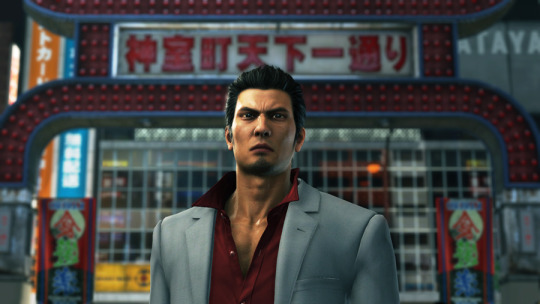 Since this is a large juncture in the story of Kazuma Kiryu, I wanted it to have more beautiful graphics and the ultimate quality to set the stage for it. ―The final chapter in the legend of Kazuma Kiryu… This announcement will come as a big shock to the fans. I was surprised by the splendid cast of performers, too. Nagoshi: The cast for this game is full of the most charming and extravagant performers in the history of the series. 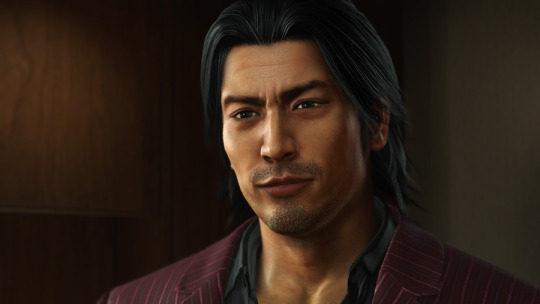 As I’ve worked on the project, beginning the series with Ryu ga Gotoku, there have always been people where I’ve thought, “I wish we could get them,” or, “I wish we could have this person do it,” and now we’ve asked many of them, including those who were difficult to negotiate with. All of this was because of the message I mentioned earlier. This is a result of desperate negotiations to get them to appear, based on my determination to get them no matter what it took. ―The cast is full of splendid actors I doubt you would even find together in a movie. Nagoshi: Right. I think this cast is at a level you wouldn’t even be able to assemble for a film. Not only that, but I think that our best engine has brought them to life in the ultimate way. ―Having the actors’ real faces appear is another of the Ryu ga Gotoku series’ charms. 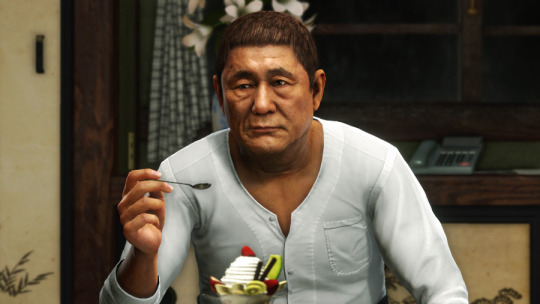 Nagoshi: We initially embarked on the challenge of reproducing real life faces on the PlayStation 3, and our skills as creators has increased year by year. We can finally bring this to completion on the PlayStation 4. Actually, there are some scenes where the graphics are so good that you would mistake it for a live action. ―Though this is known information, Beat Takeshi’s appearance is a big topic of discussion. Nagoshi: I was actually friends with Takeshi from before this, to the level of drinking companions, but I had trouble taking the plunge and beginning business negotiations with, “Would you appear in our game?” I really wanted to ask him, though, of course. I didn’t think it would be easy to get my wish, and sort of felt like he would get mad at me (laughs). It took years before I could say anything. ―I can’t even imagine how stressful it must have been to negotiate an appearance with Beat Takeshi. Nagoshi: Yeah (laughs). As I said, though, when we began making RGG6 I decided that we would make the ultimate engine, and that we would bring the legend of Kazuma Kiryu to an end. Once I had made my mind up, I wanted to challenge myself to all of the impossibilities and bring to life something that no one had managed before, and so I asked him to do it. Nagoshi: There are lots of different games in this industry, and I think we’ve accomplished so many things with each as they evolve. More people can play online games, gameplay is smoother, or there are built-in social elements. Similarly, with games that appeal to people based on their graphics, these have gradually improved, which increases the sense of drama, immersion, and the realism of the game experience itself. In some cases, I think we create things that affect people’s very perceptions and lives. I believe that Ryu ga Gotoku, too, has a role to play in this sense. ―What might that be, then? Nagoshi: Compared to other forms of entertainment such as films, games are still a genre without much of a history. I think that Ryu ga Gotoku’s role as a game is to elevate the position of gaming within entertainment. I love movies, but in terms of artistry, too, they’re always considered as a level above. Even if games don’t match them, that doesn’t make them inferior. I guess I want to show people what it is we can do because they’re games. Our cast for this game is one piece of evidence in favour of this. ―I can really see your enthusiasm in the cast. ―The amazing cast comes as a surprise each time. Nagoshi: One of the originators of passion, for me, is “surprise”. I want them to be surprised and take an interest, and then make them want to take a bit of a look. Then I want them to play it and be further surprised. I think it’s a good thing if we can make this happen. The way you set up the initial surprise is important in this. I always go ahead and set up the highest hurdles possible. It was the Ryu ga Gotoku series that was turned into a project in order to make this happen. ―To take a bit of a step back, I suppose that Beat Takeshi was cast to give us an extra large shock. Nagoshi: With regards to why this happened, to repeat myself, I absolutely needed this in order to create the setting that ushers in a critical turning point. Obviously, Beat Takeshi was my dream, too, and someone I look up to. Through our friendship, I learned the true charms of the Takeshi Kitano/Beat Takeshi I had come to know through the media. Each time I met him, my desire to borrow his energy grew. When we managed to do it, though, I couldn’t believe it (laughs). I felt like he was going to say to me, “I was kidding, son,” and had to check with him over and over, like, “You meant it, right?” (laughs). I contacted the office the day after I spoke about it with him, and they said that he’d already reached out to them. He’d already spoken to them about it. His consideration made me really happy. ―Did you manage to get everyone you wanted cast as the other characters? Nagoshi: Truthfully speaking, there were people in past games we had asked to do it but our schedules didn’t match up or something else came up. This time, though, we got everyone we wanted. ―Could you tell us about the game’s setting? Nagoshi: The game is set in Hiroshima. We chose a place in Hiroshima called Onomichi. As for why we chose it, that has to do with the game’s story, so I think that you’ll understand when you actually play it; one thing I can say, though, is that I didn’t want us to make yet another red light district. 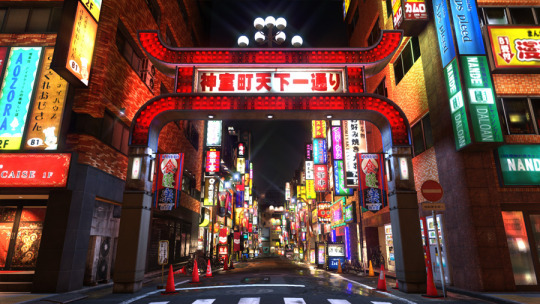 So far we’ve had Kamurocho, Tokyo and recreated the cities of Sapporo, Nagoya, Osaka and Fukuoka, but I wanted us to use a place with a completely different atmosphere from these if at all possible. It was really refreshing to recreate Okinawa in RGG3. I wanted to put in that feeling of novelty once again. ―I see – so you wanted not a large, flourishing red light district, but a place that felt different from past settings. Nagoshi: That’s right. Having said that, I wanted to create something that was a deep human drama, and also to set it somewhere with meaning in Japan’s history. With this in mind I considered places all across the country, and thought that Hiroshima’s Onomichi would be good. ―Recreating a town with a different atmosphere with a greater quality than usual seems like it would be a lot of trouble not just on the technical side, but also in terms of the time and effort taken to create it. Nagoshi: Right. Onomichi is a town with a very Showa-esque feel to it. I thought it would be interesting to contrast Onomichi, a town whose atmosphere even contains vestiges of the pre-war period, to Kamurocho, a symbol of modern times, so we narrowed it down to two contrasting settings and portrayed them in careful detail. There are more buildings and rooms around town that you can enter in this game, meaning that the number of areas to portray has grown, so I decided that if increasing the number of towns it was set in would decrease the quality, then we should narrow it down to two and create something deeper. 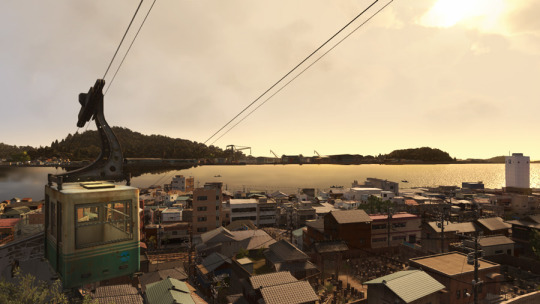 ―Onomichi may not be as dazzling and prosperous as Kamurocho, but it does have its own unique atmosphere. I look forward to seeing how you recreate that. Nagoshi: I think we’ve done quite a good job of creating the atmosphere. 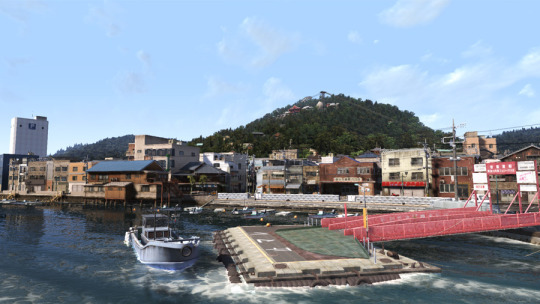 RGG3’s Okinawa was prosperous in a way, but I guess Onomichi in this game is also run down in a good way. Even if it’s the same night, a flashy night and a night that feels a little lonely are completely different. Thinking about it now, I think it was a really good choice. ―Looking at the screenshots that have been released so far, I really love the local feeling brought about by the signs for local sake. Onomichi is a popular setting for films, too, like Nobuhiko Obayashi’s “Onomichi trilogy”. Perhaps it’s an interesting setting. Nagoshi: Yes. Regarding why Onomichi is so favoured by films, I think it’s because it has nature, but also a surprisingly city-like atmosphere. Perhaps you could say that it has a duality to it. Of course, Shinjuku isn’t near the sea or mountains, but Onomichi is practically right next to them. That, and it’s also a town that has a historical background. That’s why I think people really like to use Onomichi. These are my own thoughts after doing it myself – I feel like I understand the reason why people want to set things there. Even if you tried to pair it with something else, I can’t think of any other city so complete. ―Understood. The official title has also been announced. Do you have anything to say about it? Nagoshi: We decided upon “Ryu ga Gotoku 6: The Song of Life.” The full stop at the end was added as part of the message that this marks an end to part of the story. ―Oh, so that’s what it means! With the message that this is the final chapter in the legend of Kazuma Kiryu, plus the title being “The Song of Life.”, I’m sure there’s a lot for fans to think about. Could you tell us as much as you can about your intentions behind this? Nagoshi: Hmm… Let me put Kiryu’s story to one side for a moment and talk about what I can say. In this game, while there are all kinds of interpersonal relationships, there are those who are connected by blood and those who aren’t. The connections between people and human bonds are important. Those bonds are tied to a variety of incidents. Nagoshi: The reasons for focusing on these bonds differ from person to person. Like I said before, sometimes is because they’re joined by blood. Even if they aren’t linked by blood, there are people who are joined by some reason that extends beyond that, like duty or honour. Why, though, is there such a wide variety of reasons to put so much weight on them? I could end this right now by saying that we’re human, so it’s only natural, but that’s not it. I think it’s because the way we live our lives, each person is different and has their own values and approach to things. You believe in this, and search for some kind of purpose in life. Sometimes there’s joy in it, but sometimes there are misunderstandings and setbacks. I think that’s what life is. This is a human drama born from the ties between people. ―Up until now, too, the Ryu ga Gotoku series has focused on portraying a human drama. It seems like RGG6 will increase its charm even further. 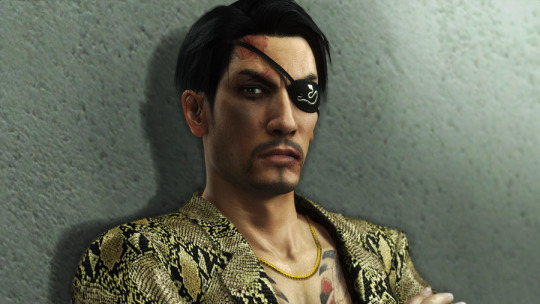 Nagoshi: Right; we’ve portrayed a variety of human dramas in the Ryu ga Gotoku series already, but they’re not simply stories about human desires or whatever. Naturally there are people in them who are driven by their desires, but that’s not what the focus is on. I can’t talk about it, since it’s plot-related, but like I said before: amidst a war centred around all kinds of bonds, what choice will Kiryu and Haruka make? I hope people think about the meaning behind the title “The Song of Life.” and look forward to its release. ―Thank you. It seems certain, at least, that the title is closely tied to the story. Nagoshi: I can’t really say right now (laughs). In any case, they’re words that carefully represent the game’s story, so I hope you actually play the game and see the ending. I’m sure there will be lots of different reactions, like people who finish the game and feel sad, or those who thought it was great. I believe, however, that it’s something that will move people, and that they will understand. ―Even still, it seems quite hands on with the theme of the final chapter of the legend of Kazuma Kiryu. Nagoshi: I have a policy where there absolutely must be an ending to something that’s high in drama. If the end never comes, there’s no tension. One day, then, in some shape or form Ryu ga Gotoku must end. As the series has gone on, I’ve often had people say to me, “This is kind of like Otoko wa Tsurai yo, isn’t it?” Tora-san films never show you when they occur, though, so the second one could just as easily be set the very next day after the first. I suppose this is one of the good things about Tora-san, though (laughs). But just like the real world, time passes in real time in Ryu ga Gotoku, and Kiryu is definitely growing older. ―That is true. Time has continued to flow throughout the series. Nagoshi: For example, I can say with certainty that there will be no main series Ryu ga Gotoku games fifty years from now. Even if Sega and home gaming platforms are still around, it won’t happen. This is because when you think about the characters’ ages, it’s just not possible. Even twenty years from now is doubtful. The playable characters will all have passed sixty, and even Haruka will be quite the jukujo by then (laughs). In some way or another, it was always fate that an end had to come someday. However, it’s exactly this which gave birth to the intrigue of seeing people’s lives happen in real time. Even Takaya Kuroda, the voice actor who plays Kazuma Kiryu, grows older each year. He’s a professional, so his voice still resembles the way it was back at the beginning, but it’s still different. But this is a great thing for Ryu ga Gotoku. It gives birth to that charm of having both the people and the characters living through the same time. ―The games having continued for eleven years is another of the series’ charms. 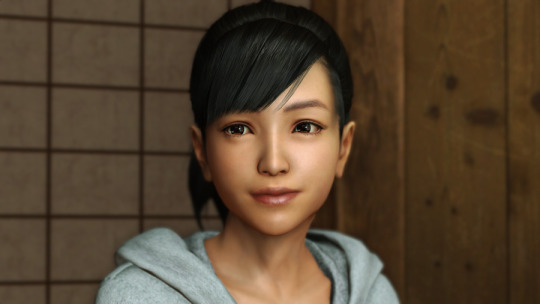 Nagoshi: And now that Kiryu has reached a ripe old age and even Haruka is now an adult, what happens to the series? The series has carried these kinds of real life burdens, too. I think it’s egotistical of a creator to suddenly have them be young again or stop them aging simply because they want the series to go on. So, what does that mean for Ryu ga Gotoku now that the final chapter in the Kazuma Kiryu legend has arrived? Myself and Yokoyama (Masayoshi Yokoyama, the game’s producer) are focusing all of our energy on making this game, and we’ll think about where to go from here afterwards. Rather than try to prolong the ending of the Kazuma Kiryu legend, I’d like to end it for now in the best way possible and then think calmly about it later. Of course, I can’t completely ignore the feelings of the fans who love and have stuck with Ryu ga Gotoku, so I’ll have to take that into consideration as I think about what form it should take next. I hope people at least believe that. On the other hand, we really are doing our absolute best in all kinds of ways on this game, so I have faith that its contents will be enjoyable. We always go all out and try our hardest, but it’s a little bit different this time. I promise that the game will be of a level of quality befitting of the final chapter of the Kazuma Kiryu legend. ―I’m sure that fans of the Ryu ga Gotoku series will be wondering if Kiryu will die, or if the Ryu ga Gotoku series is ending. Are your comments a response to those questions? ―Alright, I understand. Still, I really am looking forward to its release on 8 December. Nagoshi: Since the first game was released on 8 December, I thought it would be nice to bring it to a close on the same day. It’s easier to portray a brand new future if lots of people buy the game. ―You always say that if the game doesn’t sell, then of course you won’t be able to make another. Nagoshi: I do (laughs). Nonetheless, I still have hopes that one day, the feelings towards Ryu ga Gotoku that emptied out once will be roused once more. I’m not lying when I say that this is the final chapter in the legend of Kazuma Kiryu, however. Those are my true beliefs right at this moment. Usually – for example, right around this time as we’re making RGG6 (editor’s note: July 2016) – the staff generally have at least a bit of discussion amongst themselves about what we might do with RGG7. This time, though, there’s been nothing like that at all. ―This game really does mark the end. Nagoshi: The staff are all working in earnest with everything they’ve got, like bursting across the finishing line of a seemingly endless marathon. When RGG6 is released, the first thing I’d like everyone to do is spend plenty of time playing it, but I also really hope that after that they praise the development team who’ve stayed the course so far during this eleven-year marathon. They have created eleven games, after all. That isn’t something you do often in life. ―Very true… I’m really looking forward to the game that’s filled with all of the staff’s emotions. Nagoshi: Tokyo Game Show is the next mountain we have to climb, but we’ll be gradually releasing information starting with the conference on 26 July. We still have things that will surprise you, so look forward to further updates. Really wish they had funko pop vinyls of the yakuza characters just like Kazuma kyu and Haruka and majima and sajima. Not a huge fan of the Funko pop line but I LOVE the figmas coming out soon!